In an effort to minimise the red tape affecting the gaming industry in Queensland the Newman Government recently announced that it is no longer a requirement for staff working in gaming areas of clubs and hotels to hold a Gaming Employees Licence. The fallout from this means that your gaming staff are now no longer scrutinised by the Office of Liquor and Gaming Regulation (OLGR) through police checks which has implications when it comes to your venue’s AUSTRAC obligations, as well as leaving your venue wide open to illegal activities such as financial crime. Unfortunately, there are numerous examples of fraud in Australian clubs in recent years, and there is a possibility some of these scams may have been prevented with simple police checks upon employment, as well as sound corporate governance policies. With AUSTRAC compliance reports due on the 31st of March, are you confident of your venue’s current compliance system? All Australian businesses must collaborate with AUSTRAC to prevent illegal activities such as financial crime, but there is a range of diverse AUSTRAC obligations that hospitality venues are required to fulfil that, without appropriate knowledge of AUSTRAC compliance, can fail to satisfy an investigation. Mandatory police checks are conducted on new gaming employees or employees that are in a position to influence Anti-Money Laundering and Counter-Terrorism Financing in the operation i.e. reception staff, duty managers, supervisors. Ensure that a training register is maintained to keep up to date information on employees’ qualifications i.e. Austrac inductions, staff meetings, Austrac training sessions. The penalties for failing to complete compliance checks can be severe, not to mention the financial risk you are opening your venue to. These checks should form part of your ongoing risk assessment of your venue’s operations and in line with AUSTRAC recommendations these checks should be performed every couple of years or more regularly if deemed appropriate. 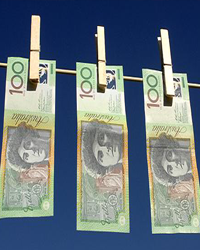 Managing an effective Anti-Money Laundering Compliance and Auditing program for your business can be a complex and stressful task if you don’t have the expertise on hand. If you’re unsure of how the recent changes affect your venue, contact the DWS team on info@dws.net.au or call (07) 3878 9355 for a confidential discussion.